How to manage emotions in a healthy way. One the of the greatest life skill we and our kids can learn in this life is how to deal with our emotions. Dealing with our feelings in a healthy way is key to achieving a sense of wellbeing and vital in creating healthy relationship with others and ourselves. In the video above I illustrated a sun and it represents all our good and happy feelings. Feelings that communicate that we are happy, lovable, competent and important. Basically any feeling that is warm and yummy to us and that help us feel our real worth. It is always available to us. 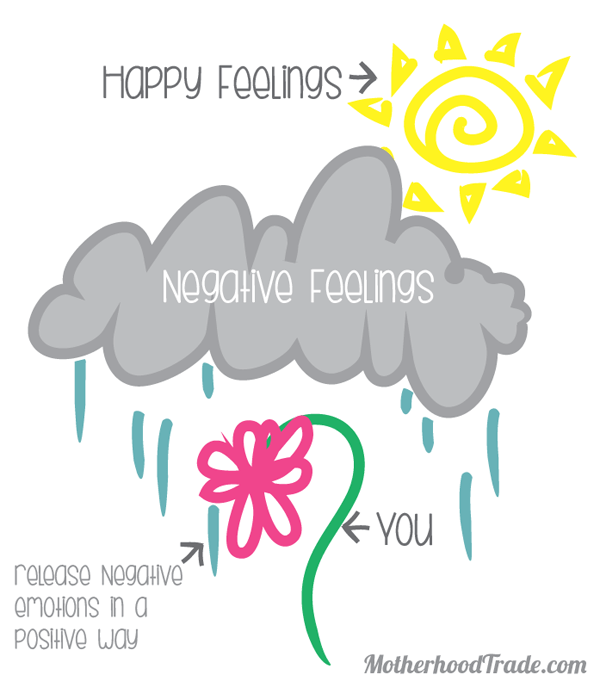 A build of up negative feelings creates a cloud between us and good feelings we could have. It essentially ‘blocks’ out the sun. Many times we even believe that the ‘sun’ (or good feelings) don’t exist because of the cloud that is not letting happy feelings in. It doesn’t matter what is going on around us, what is going on inside us speaks our reality. (See this post about how I discovered inner peace was my biggest priority of the day) What we think and feel IS our world. If we feel choatic inside, we will see chaos everywhere around us. If we feel unloved, everything around us will only justify that emotion. Take care of what is going on inside first, let the sun in and you will be able to see things clearer! Then you will be are ready to better take on the world around you. How to deal with the yuck inside. Releasing the rain, letting the clouds part, go. 1.validate your own feelings: I feel this way and it is ok to feel anything. Feelings, though strong, potent, vivid and real are NOT facts. Negative feelings can lie and distort reality. 2.Release the emotion, get the yuckies out. (cry, run, punch pillow, scream in closet, journal it out.) Take POSITIVE action with negative Feelings. Your negative feelings will strongly tell you otherwise but you are can be incharge of what you do. 3.Then let it go by not blaming anyone: not yourself, situations or others. FORGIVENESS of others AND YOURSELF is the most freeing thing you can possibly do. It heals and helps you move forward. 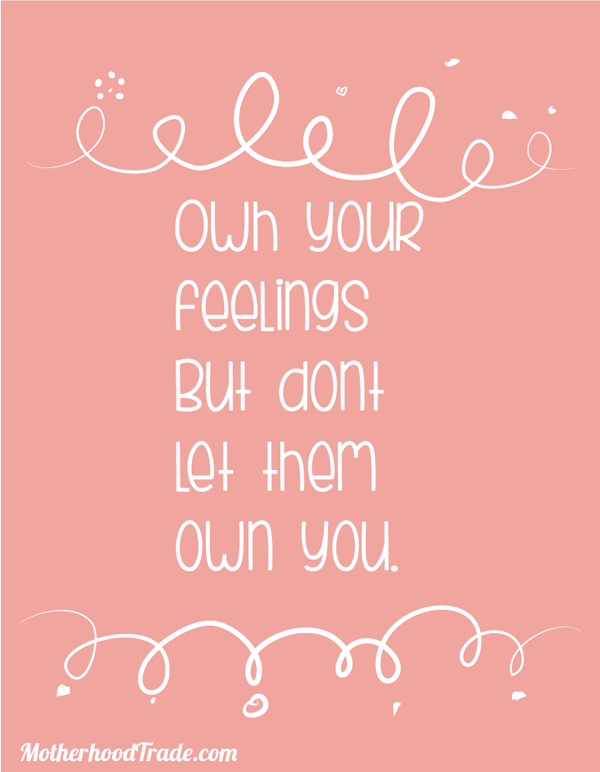 Remember, own your feelings but don’t let them own you. My fabulous friend Erin (in the video) teaches the Recovery International (RI) method to mothers and helps us learn how to turn around our negative and insecure thoughts around whenever we feel ourselves getting worked up (raise your hand if you get worked up over stuff!!!). It has worked wonders in her own life! I have personally have learn SO much from her and Dr. Lows (RI creater) methods and readings. I highly recommend it to anyone. For more info, go to her fb group, here is the official RI website explaining more and here are some ‘spots’ (truths that help turn our thoughts around). 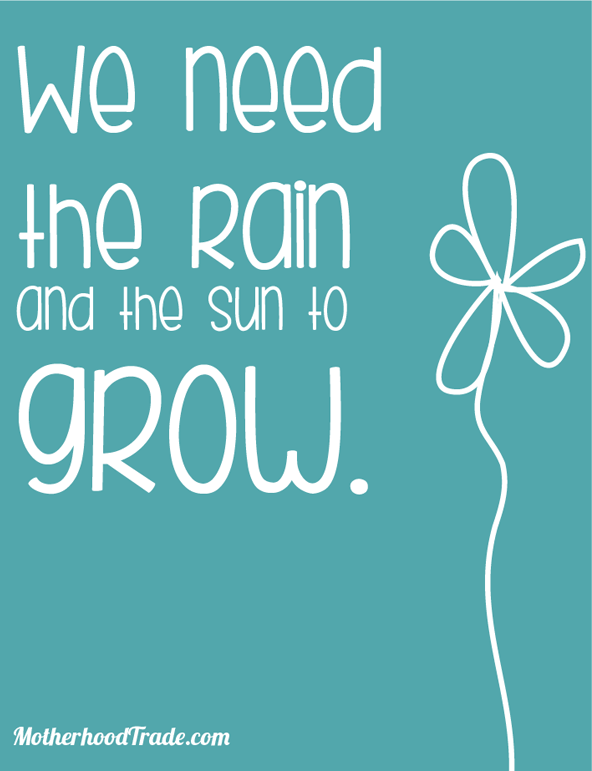 Anytime we release that negative emotion in a positive way and turn our feelings around, we GROW! We receive greater strength and wisdom to deal with negative emotions for the next time we encounter them. Our self control rewards us with self-respect and confidence. Our relationship flourish. We enjoy greater happiness! We can feel the sun again! Are you feeling inspired to make a change in your life? Here are my 7 tips for success! I’m all about learning how to be a happier healthier mama! It helps me and everyone around me. Enjoy happiness my friend!.